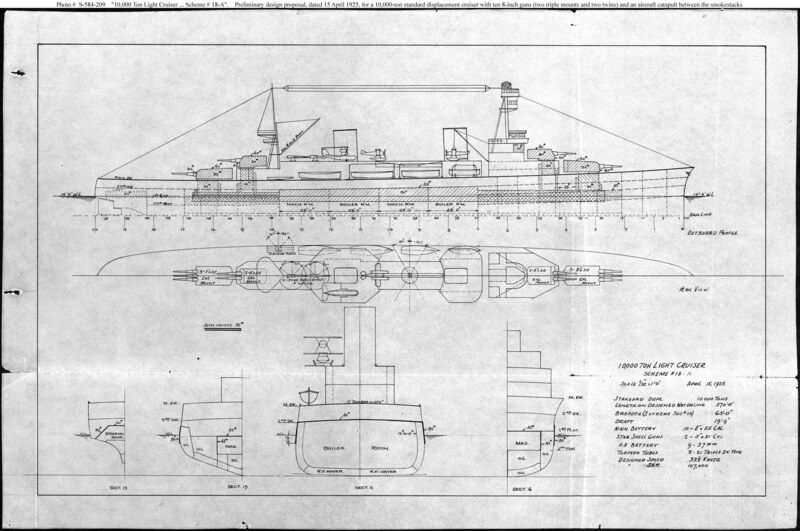 Preliminary design plan for a cruiser to be built under treaty limitations covering ships of up to 10,000 tons treaty displacement. This design was prepared subsequent to a General Board hearing on cruiser design held on 24 February 1925, and illustrated a ten-gun design having protection against destroyer gunfire and the best resulting speed available. This design was one of many considered in the process of settling on the design adopted for the Pensacola (CL-24) class of Fiscal Year 1926.